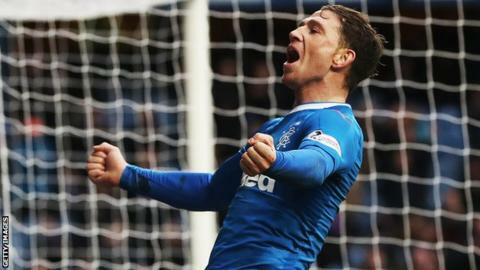 Ipswich Town have signed striker Joe Garner from Rangers for an undisclosed fee on an three-year contract. The 29-year-old moved to the Scottish Premiership side from Preston last summer on a three-year deal and scored 10 goals in 37 Rangers appearances. Garner had previously found the net 57 times in 148 matches for North End over the course of three seasons. He helped the Lancashire club win promotion to the Championship via the League One play-offs in 2015.